So finally we decided to go for weekend out to Alibaug. Frankly speaking Alibaug is a familiar place to me as its my native but still I preferred to go there with friends. 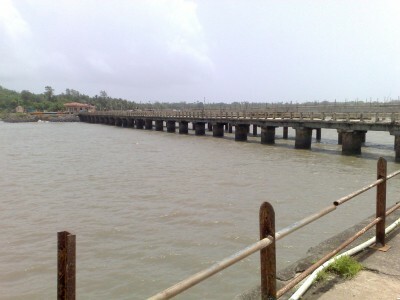 Alibaug is something like neither a full fledged city nor a village. You will easily get all basic essentials here with even few luxurious options. And alongwith that you can visit some really nice places. I’m very sure that nature lover will like this place. Surrounded by beach from 3 sides, roads with the view of nice hill areas. Both sides of the road with greenaries especially in the monsoon. Anyways so getting back to the topic, our weekend trip. so including me, we were 5, Himesh, Keval, Sanjay, Vinay & offcourse Me. We started from Mumbai somewhere around 8 in the morning. Though saturday morning 8 AM is too early for all of us, we all were fully charged & nobody was ready to miss a single chance to tease one another. At Karnala, we had our breakfast before heading towards Alibaug. For those who don’t know, Alibaug is approximately 90 Kms from Navi Mumbai. 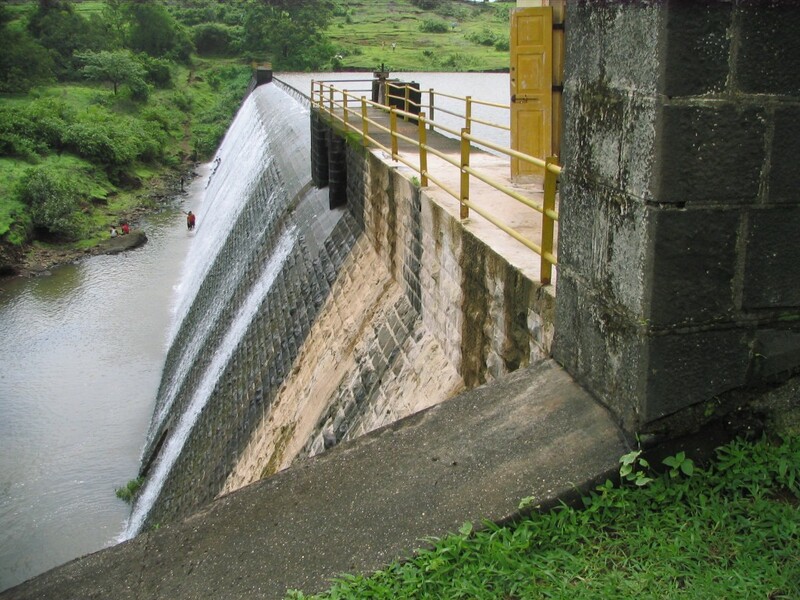 On the way we halted at Tinvira dam & finally somewhere around 10’o clock we reached Alibaug. After getting refreshed,we straightaway went for lunch. But guys that was a real fiasco as restaurant was not at all good, atleast food was of average quality.so I will suggest while choosing restaurants in Aliabug be careful. You might get a nice hotel but you have to be very choosy. Then we headed towards the first beach of our mission 🙂 that’s Varsoli beach. Actually we had decided to spend little time here as we were eager to go to Kashid beach which is somewhat 35 kms from the Alibaug. So quickly after taking few snaps we started our journey to Kashid. Without stopping anywhere we directly went to Kashid beach. To my surprise, beach was not at all clean. May be because of heavy rains or dont know for what reason. But seriously trust me, I’ve been to this beach so many times earlier as well, I always found it very clean. Not sure what went wrong this time. But I will recommend not to visit Kashid beach in the monsoon. You can try in winters. We played on the beach for sometime & obviously followed by a brief session of photoshoot. After this somewhere around 6 PM we went to Birla Temple which is hardly 3 Kms from Kashid. A Ganesh temple on the hilltop, completely built up with white marble… After spending more than 2 hours there we returned back to Alibaug,where we had dinner. After dinner, instead of going home straight away, we went to Alibaug beach, it was already somewhere around 10:30 in the night. Guys, I’m telling you, trust me that was the one of the best part of this trip. The cool breeze, calm atmosphere & only thing you can see everywhere was the darkness & water. It was really awesome. We returned back home after spending one hour on the beach. Then, we planned to watch the movie but as expected everybody was so tired that all slept by 1:30AM. So that’s how we spent day1 at Alibaug. Next day morning Sanjay was the first one to get up, (obviously he slept first so no wonder 🙂 ) Anyways so after having morning breakfast, we played cricket till we get tired & felt like bathing again. But obvious we all were so enthusiastic that could not control. Then we headed to the Mandwa jetty, this is the place, from where, you can reach Gateway of India(Mumbai) within 30-45 minutes by ferry. After a brief photosession on the jetty, we went to Karmarkar museum where you can see nice sculptures. I’m not sure about the history but you will like these. This was my second visit to this museum. It used to be in a big hall initially but it seems now they have kept only one hall open for visitors, not sure why. By the time, we had lunch it was already 4’o clock so we had to pack-up & start for our journey back to Mumbai. So that was all about our weekend trip to Alibaug.